Sport matters football matters, FACT. Ok you could argue that I live in a football mad home and have been brainwashed? And you could be right? However I would also argue that I have seen the impact football has on young lives. And that is why Premier League Stars is so close to my heart. And they haven’t stopped there! 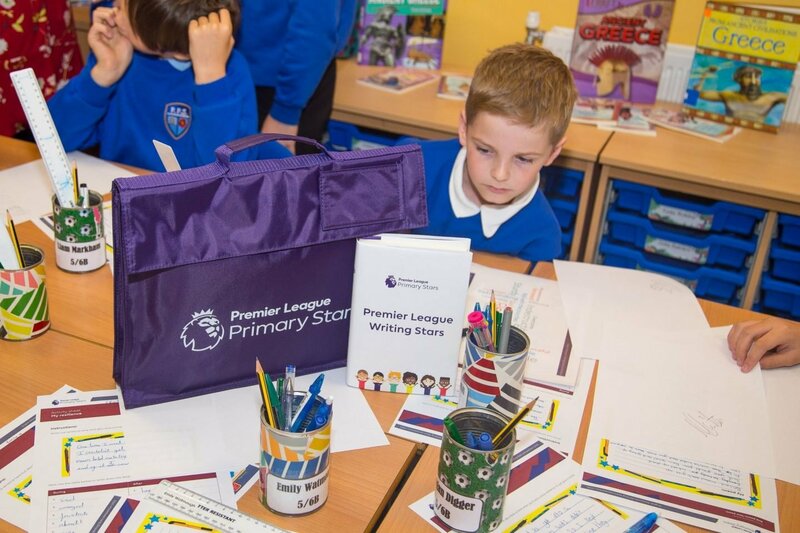 Having achieved success in numeracy skills school premier stars have now launched the Premier League Writing Stars competition. Entrants to the Premier League Writing Stars competition will have until 22 December to submit their original poems. Having a diabetic teenager means we have certain fears about Jacks health. Of course we all have fears as parents it comes with the territory. But the bare bones of the fact are that Jack must eat healthy and maintain a healthy level of activity. This will keep his circulation going and maintain his health. Without football I know for a fact he would not achieve this. Football in our house is not only a passion but also something that helps Jack manage a life affecting condition. The Premier League are using their power of good to not only reach out through sport. But are also using sport to reach out and educate children. We all have different triggers and things that motivate us. And for some children education does not float their boat. They love the family environment of school, but are not motivated by words and numbers. 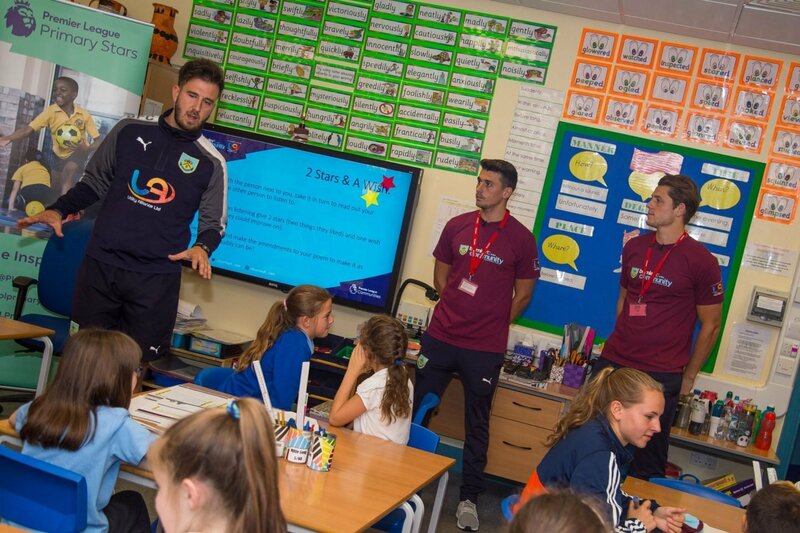 The Premier League realised that they had the power to support schools in the endeavour to make education accessible to all and created the genius that is Premier League Stars. 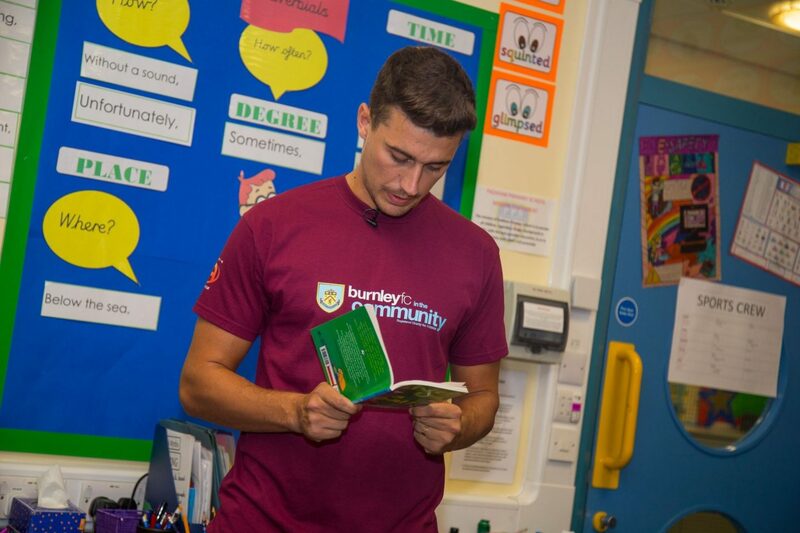 When I visited St Stephen’s CofE Primary School in Burnley with Premier League Primary Stars and Burnley F.C in the community back in May I was blown away by the effect Burnley’s Matthew Lowton and the community team had on the children. Ok I will admit it brought a tear to my eye to see how the children, some why had no interest in maths, responded to maths games with their idol. 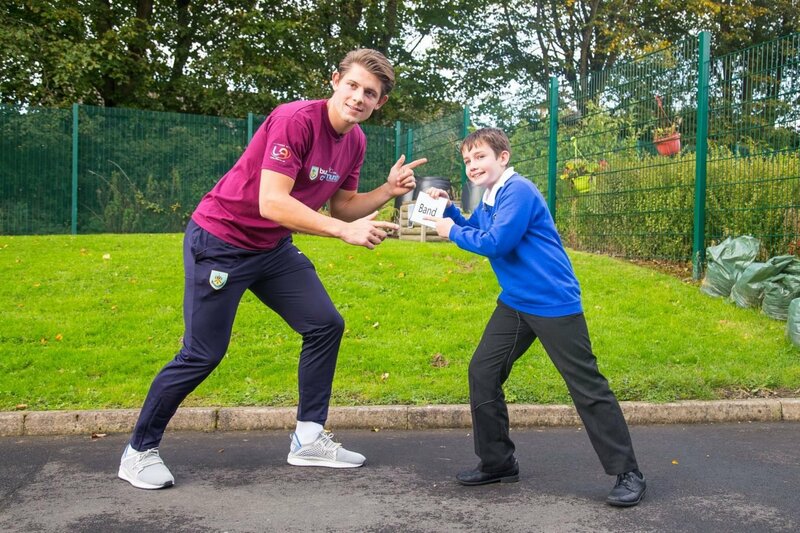 Last week to celebrate the launch, Burnley players Matthew Lowton and James Tarkowski visited a Padiham Primary School to kick off Premier League Writing Stars, a poetry competition, supported by the National Literacy Trust, for children aged five to 11. 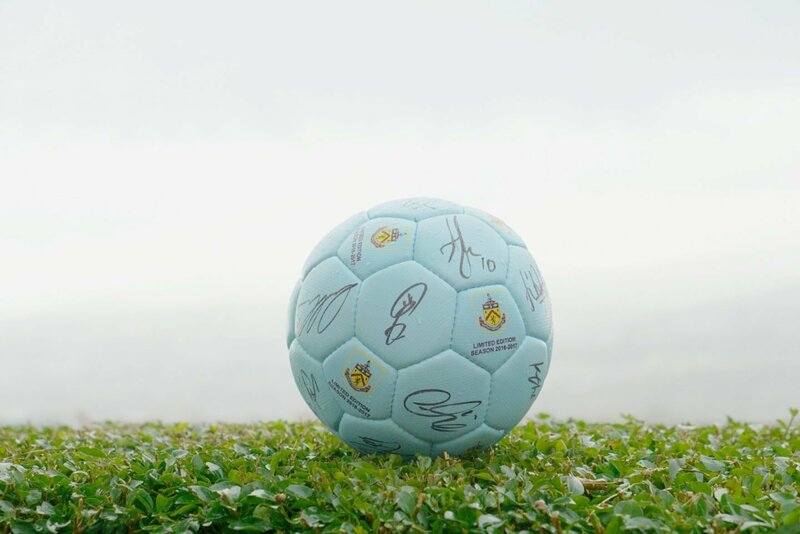 And being backed by names from the worlds of football and literature, the campaign is open to all primary schools in England and Wales and aims to get young people writing poetry in different creative forms. 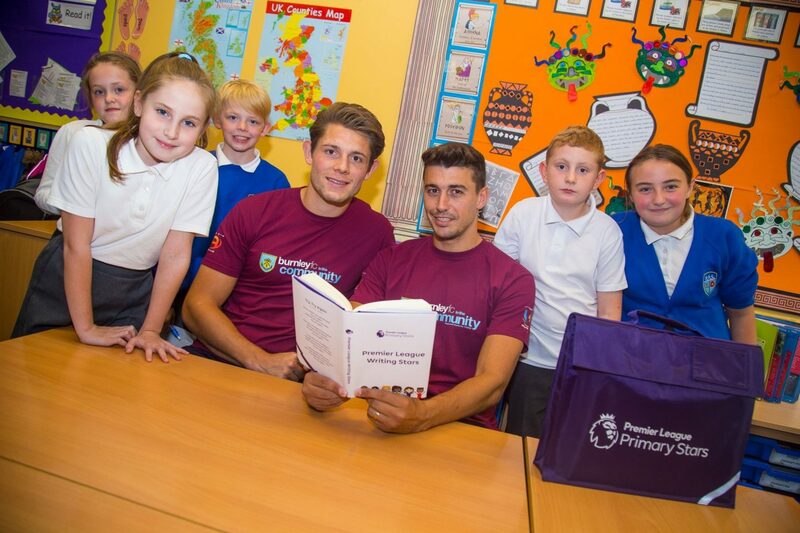 Lowton and Tarkowski joined pupils and teachers for a Premier League Writing Stars session, helping children with poetry-based activities and inspiring them to develop their own entries. Inspired by the William Hickson poem ‘Try, Try Again’, which is recited by footballers in the recent Premier League Primary Stars advertising campaign, the competition asks school children to write around the theme of resilience; what does it mean to you to try and try again? Entries can be any form of poetic writing including a rap or music lyrics. The entries will be considered by an all-star judging panel. Against a range of criteria including creativity, tone and originality. With the winning poems being published in a limited-edition book. Other prizes include author-led writing workshops and Premier League trophy school visits. As well as winning poems being read aloud by football stars. The first 1,000 schools that enter the competition will receive a bespoke ‘Book Bag’. All entries are submitted via schools and teachers. Parents should visit www.plprimarystars.com to register or nominate their schools to take part. Appropriate vocabulary – does the poem include determined and resilient vocabulary? Message – is the tone appropriate? Effect – does the poem inspire or demonstrate resilience? Poetry – does the poem use figurative speech and devices to build a picture in the reader’s mind in a creative and effective way? Appeal – does the reader feel a connection to the poet or poem? And check out this amazing video it really made me smile!